Rocker has been putting out solo albums since 1994. 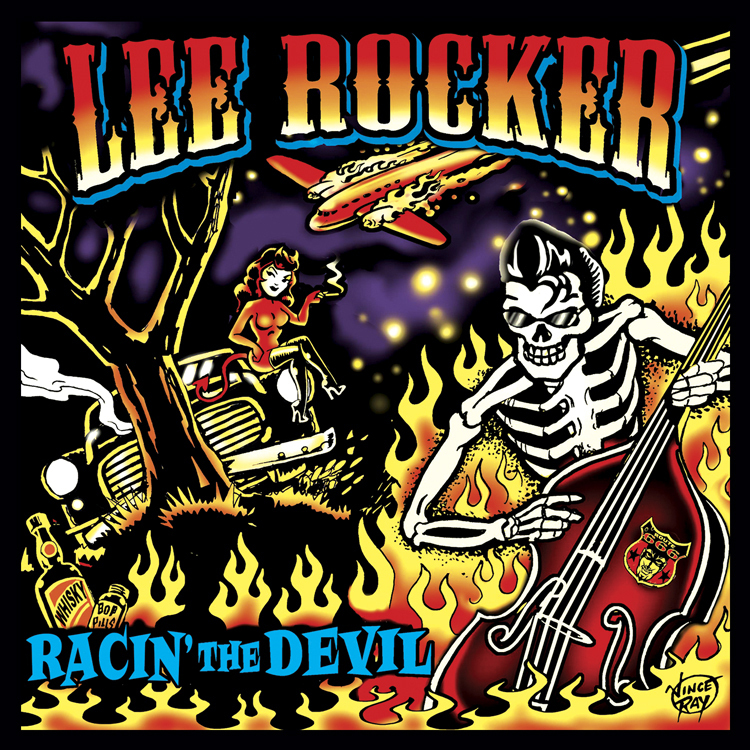 For his fifth studio release, the former Stray Cat has gathered nine originals (including a bluesy remake of his post-Stray Cats band Phantom, Rocker and Slick’s “Runnin’ From the Hounds”) and three covers (Quentin Jones‘ “The Girl From Hell,” Carl Perkins’ “Say When” and the Stray Cats’ biggest hit, Brian Setzer’s “Rock This Town”). Supplementing Rocker on King doublebass is his best backup band yet: Buzz Campbell and Brophy Dale on guitars and Jimmy Sage on drums. Standout tracks include “The River Runs,” “Ramblin’ ” and “Lost on the Highway,” all decidedly nonrockabilly tunes, and the instrumental “Swing This,” which jumps so high it might never come down. The rest are more or less rockabilly numbers, so it makes for a diverse mix. It’s good to see Rocker starting to branch out a little. Based on the compositions here, it looks like he’s going for less “rock” and more “billy,” and that’s a good thing.